So instead of dwelling on the fact she is no longer with us, I want to celebrate her legacy and the lasting impact Carrie Fisher and Princess Leia has had on my life. My artistic outlet is my wardrobe, so I have been embracing the joy I feel from wearing Princess Leia inspired fashion and accessories. 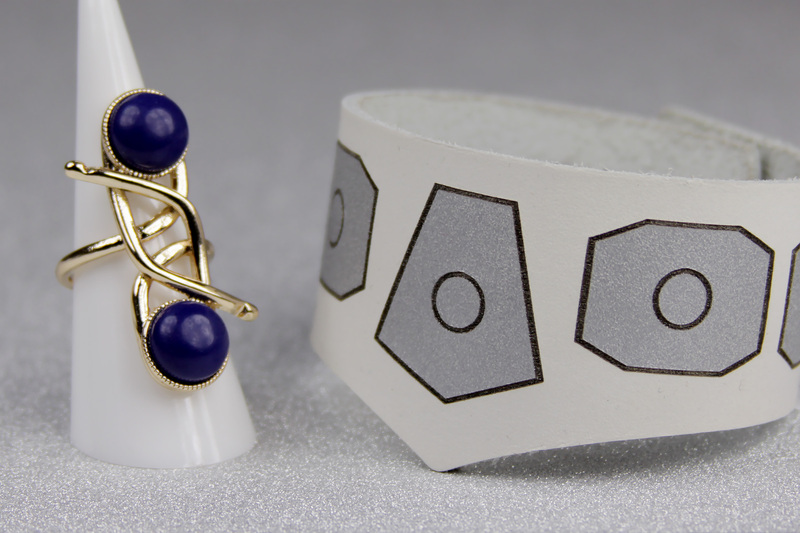 I have always believed that clothing is closely connected to our sense of self – geek fashion is a creative way of expressing ourselves. Wearing items inspired by Leia and Carrie helps me express how much they will always mean to me. 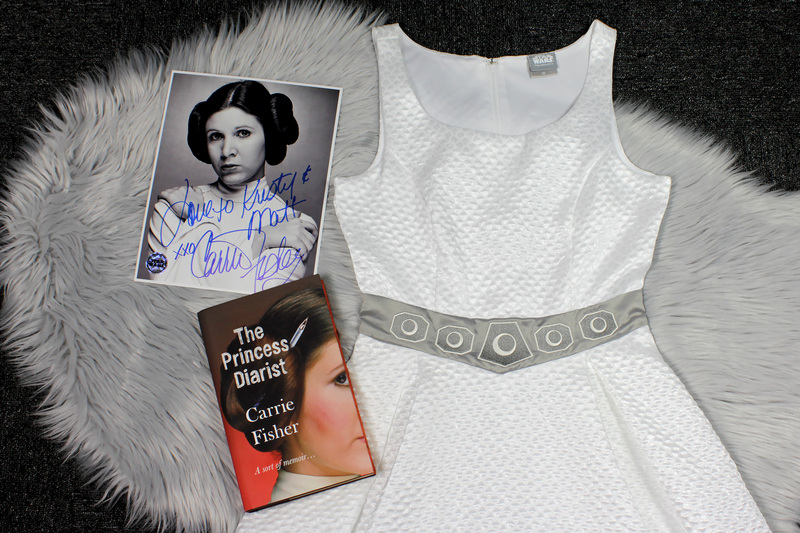 This week I have been celebrating Carrie Fisher and Princess Leia fashion – but I can’t fit all my favourite wonderful Princess Leia fashion into just a few days, so let’s continue! 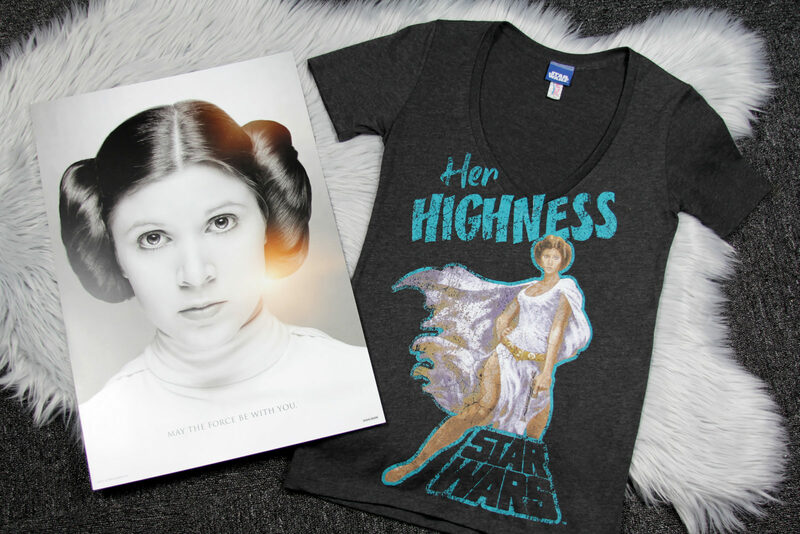 I’ll be highlighting more fabulous Princess Leia themed items, and have some very special reviews coming up this week as well. At Celebration Anaheim 2015, my family were waiting in line to meet Carrie Fisher, so our daughter could get her autograph. 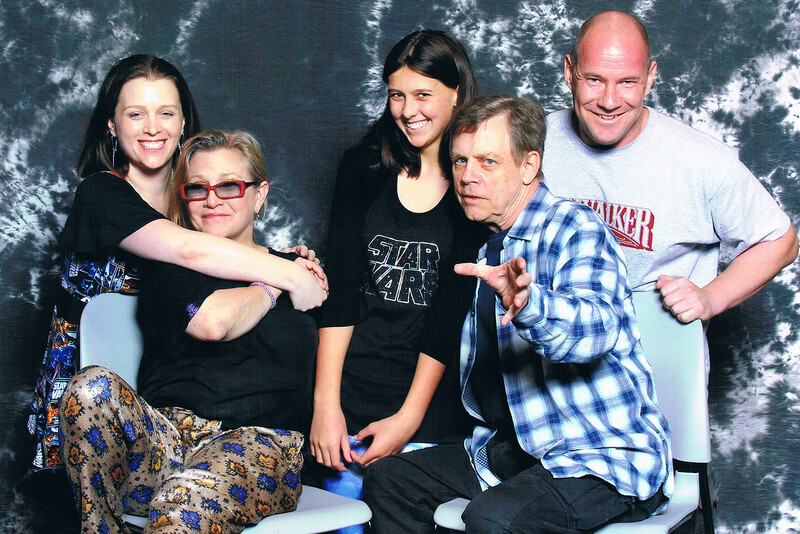 A father and daughter were at the front of the line, with the girl (around 1o years old or so) dressed as Leia – when it was time to meet Carrie, the girl started crying, completely overwhelmed at meeting ‘Leia’. Carrie lent over the table and hugged the girl for ages, talking to her until she felt better. It was quite moving, and while I was just an observer, I reflect on that moment often and think of Carrie giving me strength when I need it. At Celebration Orlando 2017, I was fortunate to be able to attend the 40th Anniversary panel with amazing Star Wars guests, but one of the highlights was the moving tribute to Carrie Fisher. I was a wreck of emotions – excited by the special guests, blessed to be there, but overcome with sadness that Carrie was not there. Panel attendees were given a limited edition Princess Leia print – it is my favourite souvenir from that trip, and a very special addition to my Princess Leia collection. I am so very glad I took every opportunity I had to meet Carrie Fisher – though I wish I had been able to fully convey to her in person just how much she had impacted my life. So today, I will smiling for Carrie, forever blessed by the inspiration and courage she will always give me.